WASHINGTON (AP) — President Barack Obama asked Congress Friday for $60.4 billion in federal aid for New York, New Jersey and other states hit by Superstorm Sandy in late October. It's a disaster whose cost is rivaled only by the Sept. 11, 2001 terrorist attacks and the 2005 Hurricane that devastated New Orleans and the Gulf Coast. Obama's request adds a huge new to-do item to a congressional agenda already packed with controversy on how to resolve the nation's budget woes and avoid the so-called fiscal cliff. "Our nation has an obligation to assist those who suffered losses and who lack adequate resources to rebuild their lives," Jeffrey D. Zients, deputy director of Obama's budget office, wrote to congressional leaders. "At the same time, we are committed to ensuring federal resources are used responsibly and that the recovery effort is a shared undertaking." The measure blends aid for homeowners, businesses, and state and local government walloped by Sandy and comes with just a few weeks to go before Congress adjourns. Whether it passes this month or gets delayed in whole or part until next year is unclear. Most of the money — $47.4 billion — is for immediate help for victims and other recovery and rebuilding efforts. There's another $13 billion for mitigation efforts to protect against future storms. The massive request comes after protracted discussions into late Friday afternoon with lawmakers and officials from impacted areas. Officials from the affected states had requested significantly more money, but they generally praised the request and urged Congress to enact it as quickly as possible. "This is a powerful first step," said New York Gov. Andrew Cuomo at a news conference in New York City. He said the Obama administration is open to more funding if needed in the future. "We're going to be OK, if we get this funding. This is going to be a significant asset for this state." Cuomo, a Democrat, and New Jersey GOP Gov. 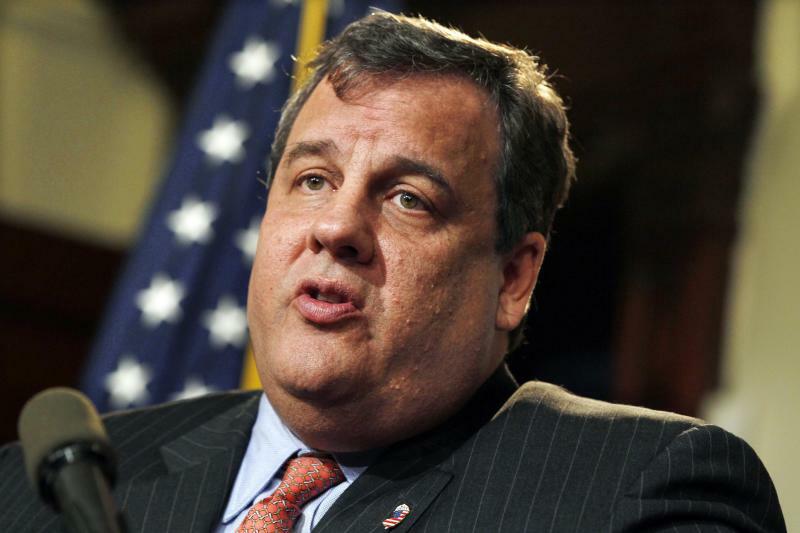 Chris Christie came to Washington this week to press for as large a disaster aid package as possible. Friday's request was at the top end of what had been expected and came after Obama allies like Sen. Charles Schumer, D-N.Y., had criticized the White House following reports it had settled on a $50 billion figure. Christie — who endured some criticism from Republicans for praising Obama at the tail end of the campaign — joined Cuomo in praising the administration. "We thank President Obama for his steadfast commitment of support and look forward to continuing our partnership in the recovery effort," the two governors said in a joint statement. The aid request could face a turbulent path on Capitol Hill, especially from tea party House Republicans who are likely to press for budget cuts elsewhere to offset some or even all disaster costs. As is traditional in natural disasters, the request was not accompanied by offsetting spending cuts to defray its cost. The looming fiscal cliff of expiring Bush-era tax cuts and automatic spending cuts to the Pentagon and domestic programs also complicates prospects for action in the next few weeks. The measure is likely to advance first in the Democratic-controlled Senate, where supporters hope it can be quickly analyzed and brought the floor as early as next week. "It's not everything we wanted, but it's close enough," Schumer said in an interview. "Our goal is to get this done by Dec. 31." The aid will help states rebuild public infrastructure like roads and tunnels and help thousands of people displaced from their homes. Sandy was the most costly natural disaster since Hurricane Katrina in 2005 and one of the worst storms ever in the Northeast. The measure contains $11.5 billion for the Federal Emergency Management Agency's chief disaster relief fund and $17 billion for community development block grants, much of which would help homeowners repair or replace their homes. Another $11.7 billion would help repair New York City's subways and other mass transit damage and protect them from future storms. Some $9.7 billion would go toward the government's flood insurance program. Another $ 5.3 billion would go to the Army Corps of Engineers to mitigate flood future risks and rebuild damaged projects. There are dozens of smaller items, too, in an official justification spanning 73 pages. "While more may be needed in the long term, this robust package is a major first step that we will work to pass as quickly as possible in Congress to help devastated communities, families and businesses," said Reps. Peter King, R-N.Y., and Nita Lowey, D-N.Y., in a joint statement. The praise was not universal, however. "We should not shortchange nor add strings to the support residents, businesses and communities in my district and across the region desperately need," said Republican Rep. Frank LoBiondo, whose southern New Jersey district includes hard-hit Atlantic City. "I will continue to work with my colleagues to ensure the federal aid package passed by Congress realistically matches the needs identified by the states on the ground." A potential complication is that the congressional delegations of the nine states hardest hit by the storm are dominated by Democrats. While that may have helped boost the request from the White House, it will take GOP support to advance the costly measure through the Republican-controlled House and win enough Senate support to clear procedural hurdles. A spokesman for House Speaker John Boehner, R-Ohio, said the speaker had received the request and would review it. The late October storm flooded parts of the East Coast when it roared ashore, creating a storm surge that left parts of New York City underwater and millions of people in several states without heat or electricity for weeks. Superstorm Sandy is blamed for at least 125 deaths, including 60 in New York, 34 in New Jersey and 16 in Pennsylvania. At least seven people died in West Virginia, where the storm dropped heavy snow. Sandy damaged or destroyed more than 72,000 homes and businesses in New Jersey. In New York, 305,000 housing units were damaged or destroyed and more than 265,000 businesses affected. On Tuesday, the head of the Federal Emergency Management Agency, Craig Fugate, said the government's disaster relief fund still has $4.8 billion, enough to pay for recovery efforts into early spring. So far, the government has spent about $2 billion in the 11 states struck by the storm. Associated Press writer Michael Gormley in Albany, N.Y., contributed to this report.